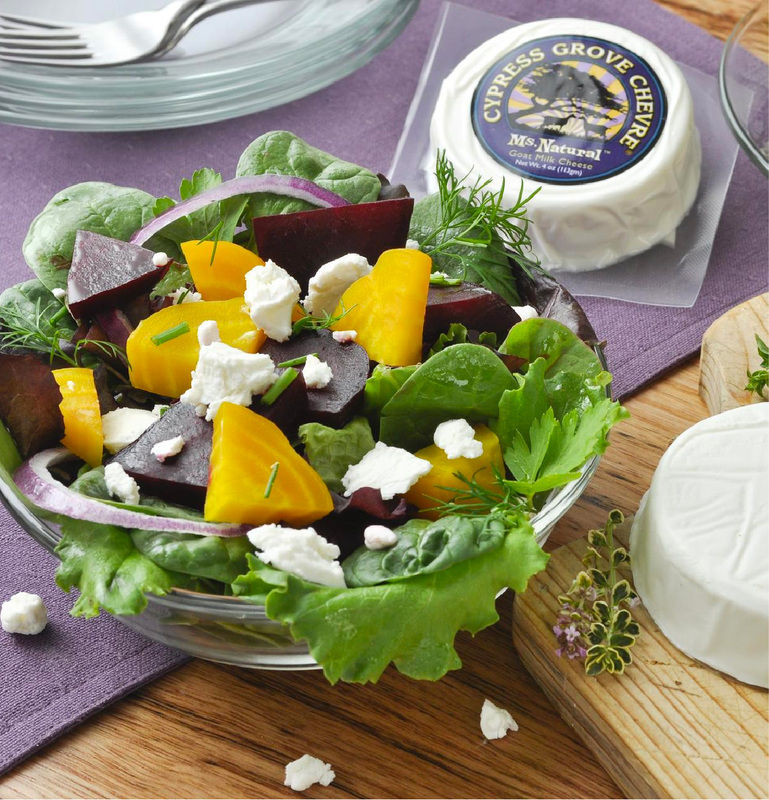 This delicious salad features the classic combination of goat cheese and sweet beets. Clean beets and drizzle with extra virgin olive oil, salt and pepper. Bake in roasting pan for 1 hour at 425ºF until tender, allow to cool on roasting pan. Mix first 7 dressing ingredients, whisk in extra virgin olive oil and set aside. Remove beet skins and cut into bite-sized pieces. Gently toss baby greens, red onion and fresh herbs with salad dressing. Top dressed greens with beets and top with crumbled Ms. Natural®. *Also try with Humboldt Fog® and Bermuda Triangle®.